The rustic mahogany interior doors manufactured by Main Door Corporation can have a transformative effect on the look and feel of your home. They capture the appearance of authentic old-world European architecture while maintaining the clean lines and sturdy build of state-of-the-art fabrication techniques. The end result is a modern, yet rustic, look that is ideal for homeowners who appreciate the elegance of natural wood grains. And, because our interior doors are made from 100 percent mahogany with no veneers, there’s no reason to ever worry about peeling, delamination, or other problems that arise in inferior products. Due to their solid wood construction, the doors featured in our Interior Rustic Type Collection will stand up against daily use and maintain their beauty long into the future. In addition, we make it as convenient as possible for you to select interior doors that are just right for your home. That’s because we are an exclusive partner with The Home Depot, so you can visit your local store to see our products in person. 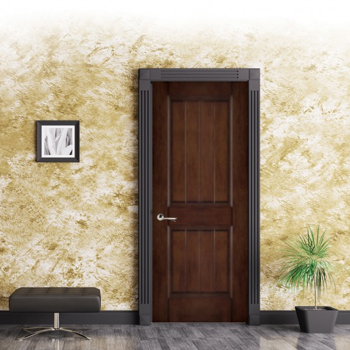 For more information about our rustic interior doors, contact Main Door Corporation today, or simply visit The Home Depot location closest to you.